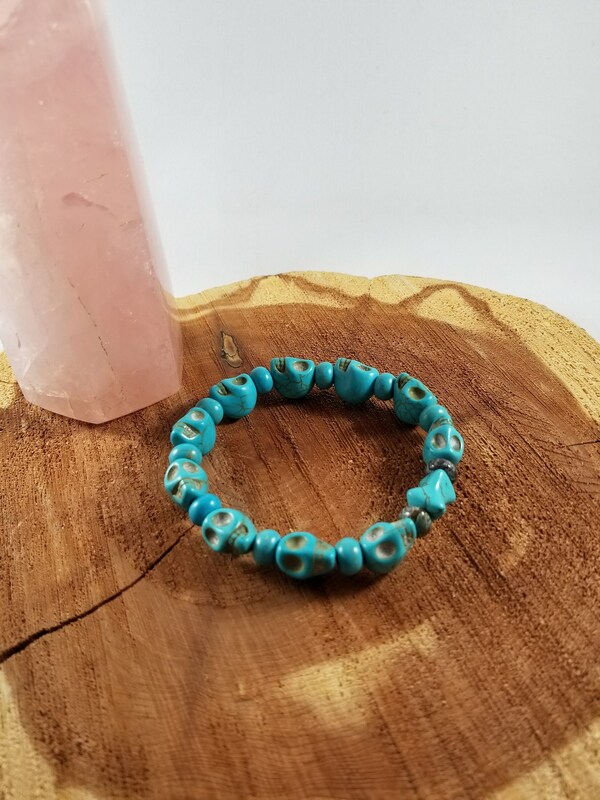 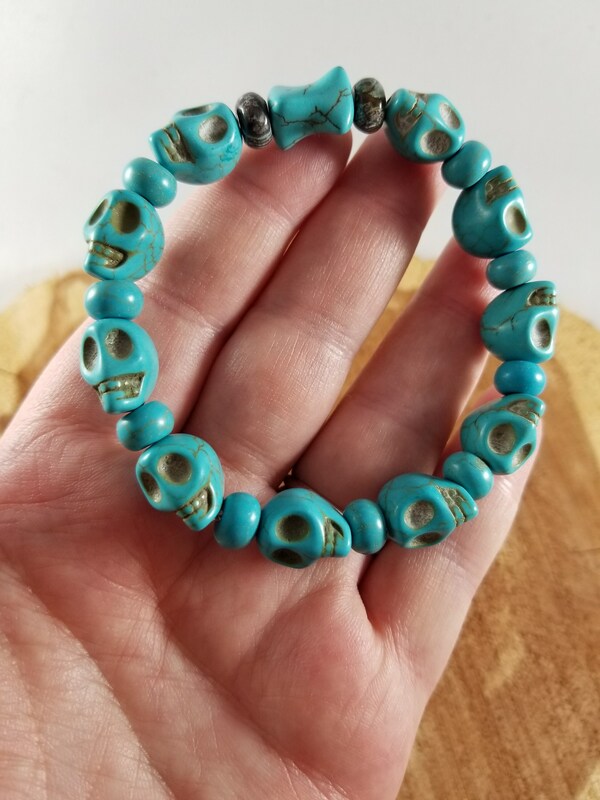 Turquoise Dyed Howlite Skull and Rainbow Calsilica Spacers Gemstone Mala Bracelet! 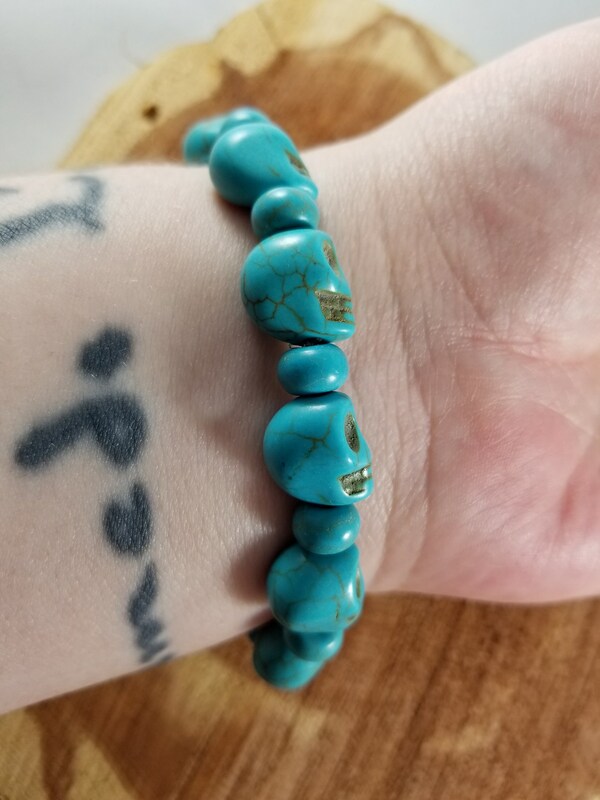 This handcrafted Mala bracelet was made by me using Turquoise dyed Howlite, and Rainbow Calsilica! 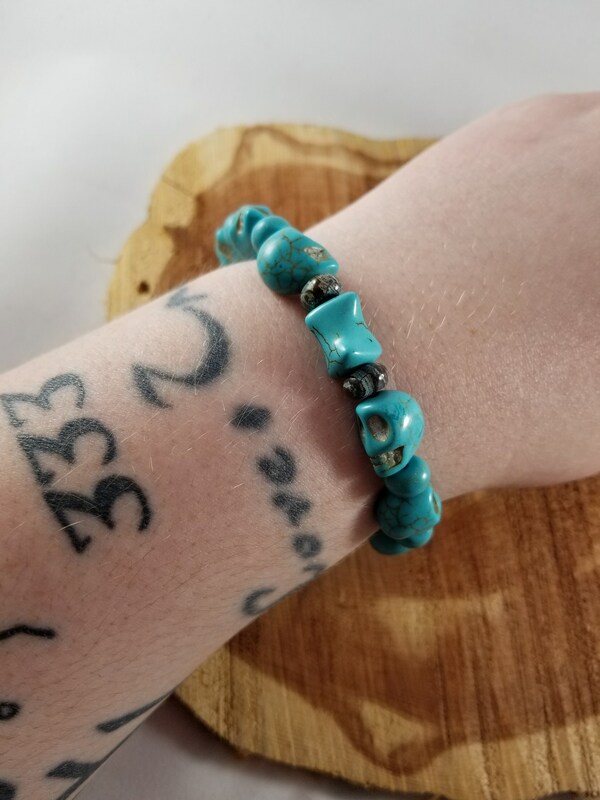 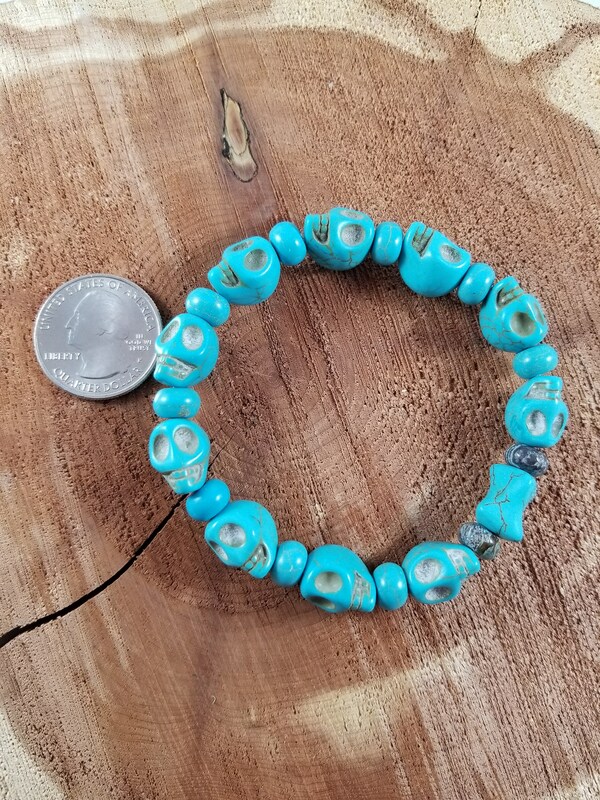 The skulls and spacers are Turquoise dyed Howlite, surrounding the guru bead there are 2 rainbow Calsilica beads.